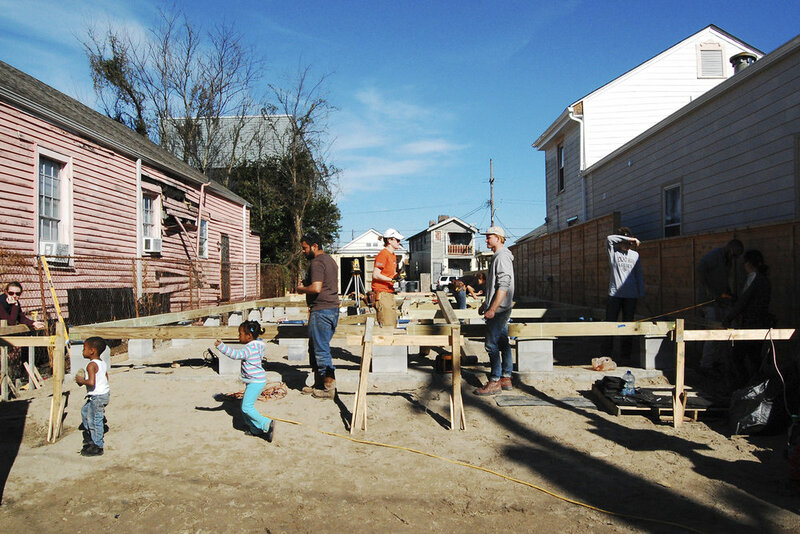 URBANbuild 11 is the program’s third house on Toledano Street in Central City and the program’s first true infill site, where only the front façade is visible. 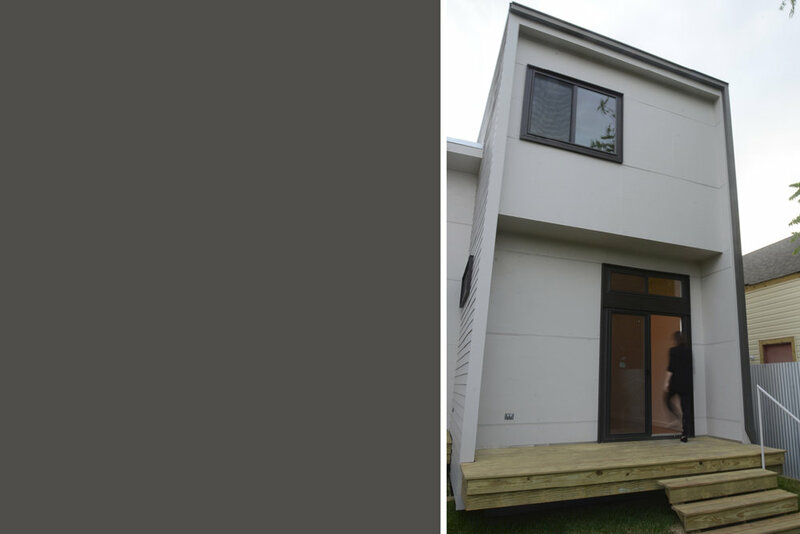 Like URBANbuild 10, this year’s house was designed to function as a duplex or a single-family dwelling. When used as a duplex, each unit of the home would be accessed from a shared front porch. In this scheme, one single-level unit consists of a kitchenette and a loft studio space with a rear porch and garden. In the primary two-bedroom unit, the public zones are situated downstairs, with the private zones located on a second level. A stairwell ascends through the core of the building that captures light from a clerestory window above and filters it down through the home. URBANbuild 11 faces due west, necessitating a shading system to reduce heat gain and mitigate sun exposure. This requirement provided students with an opportunity to play with light and shadow resulting in the development of a movable shutter system made from painted cedar framed in aluminum and set on a rolling track system. These shutters can be adjusted to aid in the control of light traveling into the main dining space and across the front porch, which features two walls with single lite glass doors that can be opened to convert the porch into a shaded indoor/outdoor space.